The ILS Centre for Arbitration (ILSCA) was established on 3rd December 2016 by the Governing Council of the Indian Law Society. This Centre is established with the sole purpose of providing facilities for settlement of disputes through different methods of Alternative Dispute Resolution. There is a movement amongst legal communities all over the world and India is no exception – to encourage the culture of institutional arbitration in India, which will go a long way to redress the institutional and systemic discontent that has seriously affected the growth of arbitration. Currently in the Indian context, most of the parties chose to proceed with ad hoc arbitrations, particularly with regard to domestic arbitrations. In ad hoc arbitration, the parties have the choice of drafting their own rules and procedures, to fit the needs of their dispute. Institutional arbitration, on the other hand, is in which a specialized institution, intervenes and assumes the functions of aiding and administering the arbitral process, to resolve the disputes between the parties according to the rules of such institution. Basically, the contours and the procedures of the arbitral proceedings are determined by such institutions, who frame their own rules for facilitating institutional arbitration. Such institutions also provide qualified arbitrators, domain experts, empanelled with the institution. Currently, besides the Mumbai Centre for International Arbitration, Mumbai, there is no such Centre in Maharashtra, which can cater to parties who can opt for institutional arbitration. The Management of the Indian Law Society recommended launching of the Centre to facilitate Institutional Arbitration and Institutional Mediation. It will be a joint effort between ILSCA and the domestic and international business communities located in and around Pune and in Maharashtra generally. ILSCA is a neutral, independent, non-profit organization, which will facilitate the impartial administration of arbitration proceedings. ILSCA is a first-of-its-kind arbitral and mediation institution in India, attached to ILS Law College which is a premier institution in the country, acclaimed for quality legal education with a prodigious history of nearly 100 glorious years of history. ILSCA is committed to promote a cordial and rational settlement of disputes between parties. It aims to create an environment in which people can work together to find long-term solutions to conflicts and tensions. ILS envisaged ILSCA as a trustworthy, independent, efficient and transparent Arbitration Centre, wherein the disputant parties could resolve disputes- by taking recourse to various methods like Ad-hoc Arbitration and also Institutional Arbitrations International and Domestic Commercial Arbitration: Arb-Med-Arb, Med-Arb, Mediation, Negotiation and Conciliation. ILSCA will be responsible to provide apposite facilities to assist parties to resolve their disputes through these different methods of alternative dispute resolution (ADR). ILSCA is gearing itself to provide the necessary infrastructure, both corporeal as well as administrative services for conducting Ad-hoc as well as Institutional Arbitration, effectively. ILSCA is situate in a separate designated building which has arbitration hearing rooms; break out rooms; arbitrator’s lounge and a business center for the smooth running of the proceedings. ILSCA undertakes to provide all the necessary organizational services to the disputant parties, like settling fees of Arbitrators and Mediators; arranging dates for Conferences and Meetings between the Arbitrators and the Parties and their counsel; and also organizing dates for Conferences and Meetings between the Mediators the Parties and their counsel. ILSCA will also be acting like a registry/ depository of pleadings, documents and correspondence etc. ILSCA is in the process of appointing well-trained personnel for the said purpose. ILSCA intends to provide a full-proof quality control mechanism which in course of time will make ILSCA institutional arbitration and institutional Mediation a most dependable dispute resolution system. ILSCA is well equipped with facilities for effective use of technology such as cost saving procedures for e-filing, provision for on line dispute resolution, provision for hearings by teleconference/video conference etc. These facilities will ensure registration of disputes on line, which in turn facilitate instant transmission of voluminous papers relevant for arbitration. Video conferencing facilities will expedite recording of testimony of witnesses and experts and also hasten the arbitration proceedings. Apart from providing an ultramodern, futuristic physical and technological infrastructure ILSCA has a designated separate library with an exclusive collection of books on Arbitration, Mediation, and Conciliation- which is made available to the Arbitrators, Mediators and counsels. ILSCA is in the process of making rules for facilitating Institutional Arbitration and Institutional Mediation at the Centre. ILSCA Rules for Institutional Arbitration and Institutional Mediation along with the Code of Conduct of Arbitrators and Mediators are based on the guidelines issued by various domestic and international Institutes. The ILSCA Rules for Institutional Arbitration are based on the Arbitration and Conciliation Act, 1996, amended up to 2015 and UNCITRAL Arbitration Rules. Under the ILSCA Institutional Arbitration Rules and Institutional Mediation Rules, dispute resolution is scheduled to commence and conclude within a time frame. The Rules provide for submission of the claim to the Centre – appointment of Arbitrators/Mediators; fixing of date for Conference amongst disputants and arbitrators; arrangements of dates; time line for passing of final arbitral award and time line for mediation settlements etc. ILSCA also proposes to provide training through workshops, training programs and courses to members of the legal fraternity and students of law who have an interest in Arbitration, in collaboration with other professional institutes, wherever necessary, for accrediting Arbitrators. Drafting an Arbitral Award and many more. Many other training programmes are foreseen to be conducted under ILSCA – and are under construction. The 48 hours of Mediation Training Program at ILSCA offers an opportunity to the participants to become and effective negotiator and a skilled mediator. The training in Mediation will be provided experienced, certified Master trainers in Mediation – who will introduce the participants to the concept and the theory of Mediation with an opportunity to practice the mediation process for resolving disputes through a series of interactive presentations, role play simulations and real life case studies. Mr. Rishab Gupta, Counsel, Shardul Amarchand Mangaldas, Dr.
ILS Centre for Arbitration (ILSCA) in association with Peacekeeping and Conflict Resolution Team (PACT) organized a four-day workshop on “Domestic & International Arbitration and Principles of Mediation”. The workshop was organised from 20th January 2018 to 23rd January 2018. “Tort Law in India”, the National Monograph published by Wolters Kluwer Law International, Netherlands, 2012, (ISBN/ISSN 9041145702, ISBN 13: 9789041145703). The monograph is a part of the series “International Encyclopedia of Laws”. Published Kluwer Law International. Designed and Edited the first volume of ILS Law Review, published by the Indian Law Society, Pune in fond memory of late Professor S.P. Sathe. The first Law Review was released on 9th March 2008. Edited the ILS Law College Platinum Jubilee Commemoration Volume, along with Dr. S.P. Sathe, titled as “Liberty, Equality and Justice: Struggles for a New Social Order”- 2003, EBC Publishing (P) Limited, Lucknow. 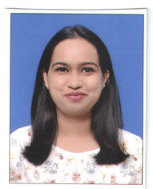 Anwita is a graduate in Law from MMM’s SCLC under University of Pune. She completed her LL.M. in Business Laws from ILS Law College in 2017. Manjusha has completed her M.Sc. in Statistics. 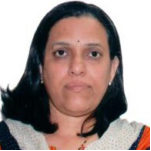 She has an inclination towards research and a sound understanding of research methodology.